Soldiers, family members and community members participated in the third annual Lantern Walk here. 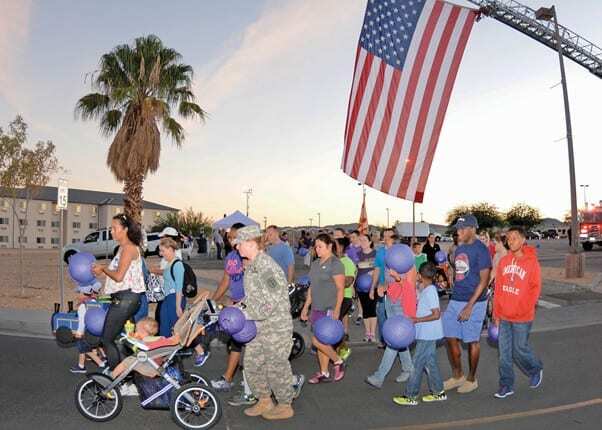 Fort Irwin’s Family Advocacy Program hosted the third annual Lantern Walk here in observance of Domestic Violence Awareness Month, Oct. 7. 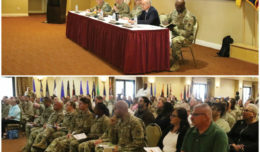 National Training Center and Fort Irwin leadership, unit commanders, Soldiers, and family members participated in the event that included the signing of a proclamation, remarks by leadership and a procession of attendees through several streets on this garrison. Fort Irwin United States Army Garrison Commander Col. Scott Taylor addressed the audience prior to the start of the walk. He thanked everyone for attending and read a proclamation he signed with Maj. Gen. Joseph Martin, commander of the NTC and Fort Irwin. After the procession, led by the Horse Detachment of the 11th Armored Cavalry Regiment, the audience gathered around a stage to hear Martin’s remarks. Martin said that domestic abuse, dating abuse and domestic violence are not in line with Army values. 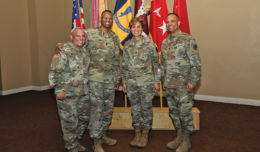 The general explained a new concept for Fort Irwin, called Reunite, which will help families cope with the issues of separation, compression, de-compression, and training in the box and integrating into the battle rhythm of garrison life. Martin described the three R’s of the Reunite program, which is strictly a Fort Irwin brand. 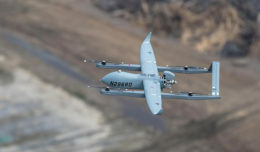 The commander stated he is excited about the program and the way forward.